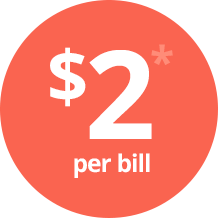 Paydici will print and mail bills and invoices to your customers. You can send late notices, and even special promotions. We'll digitally scan all check payments at a secure processing facility. Items are deposited directly into your bank accounts. Offer your customers the option to pay via all major cards, or directly from their bank account via eCHeck. Reduce clerical errors by depositing all payments electronically into the appropriate bank account. Resolve your customer's common payment related issues through self-self service, while your staff can connect easily with Paydici's support team. Let your customers shift to email billing, and online self-service, at their own pace.